Aqua-Balance 1 raises Total Alkalinity in swimming pool water and acts as a buffer for pH in swimming pool water. Low Total Alkalinity levels in swimming pool water can cause the water to be corrosive and irritating. This can also result in etching and staining of pool surfaces. 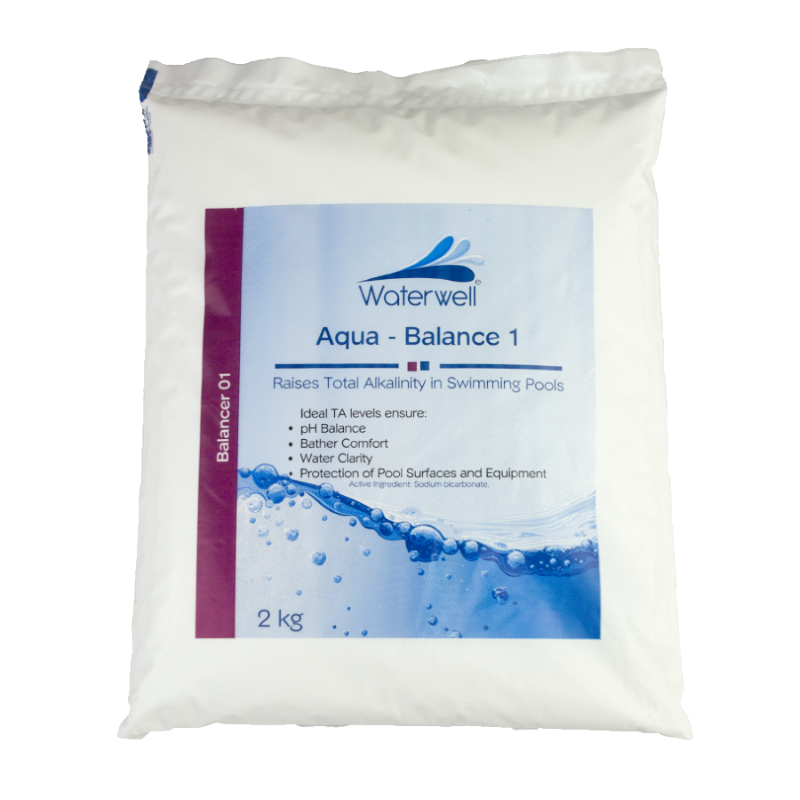 200g Aqua-Balance1 per 10 000L of pool water, will raise the Total Alkalinity level by 10ppm. Add directly to the pool water with the pump in operation. Broadcast the product evenly over the entire pool water surface.